Today I introduce you to a very easy, delicious and healthy recipe called Mushi-dori (Steamed Chicken). You can use this steamed chicken as an ingredients in your salad, soup, noodles, and so on. Of course, you can also eat it as dish by itself and goes well with any kind of sauce. This is a popular Japanese dish. Also, it is similar to Chinese and Thai steamed chicken, although the seasonings are different. For this dish I recommend using chicken breast because of texture, flavor and health benefits. I steam the chicken breast with ginger and cooking Sake. 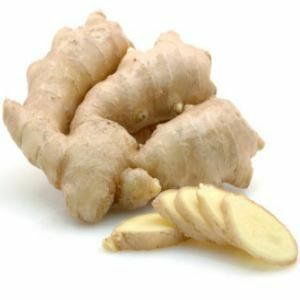 Ginger is very nutritious and healthy. It helps our blood flow, helps speed up our metabolism, and blocks the oxidation process in our bodies. Also, ginger is very flavorful and helps rid the meat of its chicken smell. Also, in this recipe I show you a famous sauce for steamed chicken called Goma-dare (Sesame sauce). You can also use this sauce for Shabu-Shabu (boiled, thinly sliced beef). This is White Roasted Sesame Seeds I used in this recipe. Sesame is also very nutritious. It is high in minerals, vitamins, fiber and protein. The most important ingredient in sesame is Lignan which is an antioxidant. Lignan helps liver function and cholesterol depletion. It is good for our health to take 1 Tbsp. of sesame per day. Categories: Chicken, Steamed | Tags: antioxidant, Chicken, Delicious, Easy, fiber, Ginger, Gingerol, gluten free, Healthy, Homemade, Japan, Lignan, Low calorie, Mineral, Nutrition, protein, Shogaol, Vitamins | Permalink.